Another year, Point presented its proposals in the last edition of the Salone del Mobile in the Italian city of Milan. 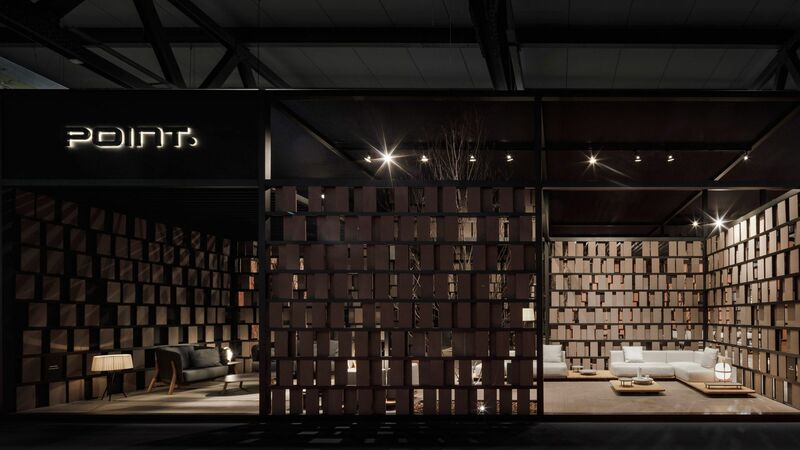 The stand was designed by Francesc Rifé, and took up an area of 180m2 in the Hall 6, which was one of the busiest of the Salone. Under the motto “A new Point of view”, the new company image created by Pablo Gironés_Office was presented, as well as the new logo created by the graphic designer Ibán Ramón. The proposal was warmly welcomed by the public, with a great number of visitors from all over the world. The collections PAL by Francesc Rifé, WEAVE by Vicent Martinez and TUB and FENNEC by Gabriel Teixidó were the new products presented at the fair. POINT team wishes to thank you all for your visit to our stand at the SaloneInternazionale del Mobile, and hopes to see you next year. PAL, outdoor collection designed by Francesc Rifé,is a modular system made up with solid teak floorboards on which resistant upholstered modules are placed. This collection offers endless composition possibilities of relaxing spaces outdoors. WEAVE, a design by Vicent Martínez. Like Baya Weaver birds, which build their nests weaving and knotting every fibre in a meticulous and precise way, WEAVE is made to create unique pieces of furniture to enjoy a pleasant conversation,or a good read outdoors. TUB, by Gabriel Teixidó, is made up with eight pieces of typical straight lines which entwine with subtle curves. Made of aluminium, this outdoor furniture collection stands out for its lightness and resistance to severe weather conditions. FENNEC, also designed by Gabriel Teixidó, is the result of a smart combination of comfort and functionality. This outdoors furniture collection, made with Shintotex® fibre, Point’s exclusive, is composed of tables,chairs, sofas, and armchairs, all of them very resistant and durable, which is an essential requirement for any outdoors furniture.